Arvind's World: There's someone in my head but it's not me ! There's someone in my head but it's not me ! I have been a late starter in reading literature both fiction and non-fiction. While John Grisham continues to be an easy favorite in the fiction category, I have read of late a number of very interesting books in non-fiction category with subjects ranging from Public Policy, polity, whether god exists and my latest obsession – reading about brain and how it works. Couple of interesting books which I recently read are “The Behavioral Foundations of public policy” edited by EldarShafir “ PrincetonPublishing House, 2013, “Public Policy in an uncertain world- analysis anddecisions” by Charles F. Manski, Harvard University Press, 2013 and “Incognito –the secret lives of the brain” by David Eagleman, Canongate, 2011. My interest in how mind works and how we take decisions arose because of the uncertainty of my mind while deciding. The decisions I have taken intuitively differ depending upon the mood I am in. Why we associate positive attributes to people we like without even knowing about them? Why are our decisions often colored by our biases? In a sense, I find a lot of inconsistency and lack of rational explanation on some of the decisions I have taken. At times, it’s to the extent that I almost feel insecure as if mind is being guided by someone unknown. In that sense, reading these books come as great relief as I realize I am not the only one and that there are some explanations for such intuitive behavior and reasoning. What do we think of them? If you are like most of us, you would view Rishit much more favorably that Saurabh. The initial traits in the list change the very meaning of the traits that appear later. First few personality traits define the Halo effect and even though traits are same, we have an inclination of one over another. Why does it happen? I am currently reading a very interesting book “Thinking, fast and slow” by Daniel Kahneman, a professor in Princeton and a Noble Laureate in economics awarded for his work, developed with Amos Tversky, on decision-making and uncertainty. In this book, he takes us through what goes on in our mind, the way we think and take decision. I have reached midway and the book runs like an easy thriller with mind (& decision making and what goes on inside) as the main character and his attempts to unravel the mystery of our decisions and whether we have any control over our decisions. 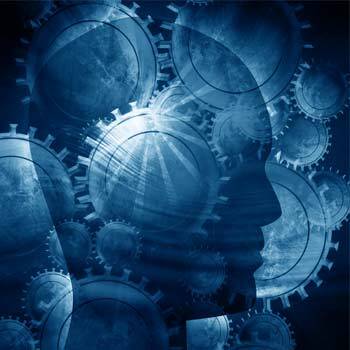 System 2- allocates attention to the effortful mental activities that demand it, including complex computations. Thus System 1 is instantaneous, intuitive & emotional while System 2 is slower, well thought out, more deliberative and logical. While System 1 is the ‘automatic operation’, System 2 is ‘the controlled operation’ and shows how the associative memory, the core of system 1 continuously constructs a coherent interpretation of the complexity and richness of this automatic and often unconscious process involved in intuitive thinking, and how automatic process explains heuristics of judgment. 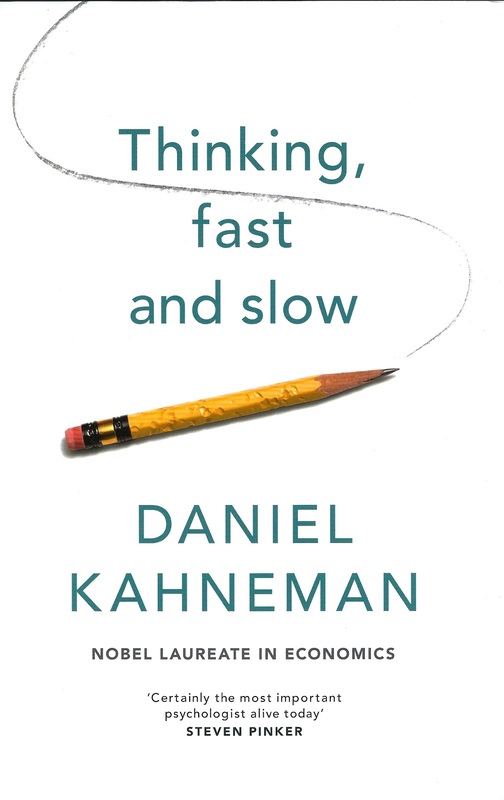 The book also examines an interesting question – why is it so difficult to think ‘statistically’? we think associatively, metaphorically, causally but statistics is something that requires many things at once which is something that System 1 is not designed to do. And this describes a puzzling limitation to our mind- our excessive confidence in what we believe we know and our inability to acknowledge our ignorance & the uncertainties. We are prone to overestimate how much we understand and underestimate the role of chances in events. Overconfidence is fed by the illusory certainty of hindsight. How much does the ball costs? A number comes to your mind. And intuitively is 1$ :10 cents. The distinctive mark of this puzzle is that it evokes an answer that is intuitive, appealing and wrong. If the ball costs 10 cents, total costs would be $ 1.20 (10 cents and 1.10 ). The correct answer is 5 cents. He says that people who say 10 cents appear to be ardent followers of the law of least effort. Don’t worry. You have company. More than 50% of students at Harvard, MIT and Princeton who were administered this test gave the intuitive wrong answer. And at less selective universities, the error was in excess of 80%. This proves that people are overconfident, prone to place too much faith in their intuitions. There’s mention of another test by Walter Mischelregarding intelligence, control and rationality. He conducted a test on 4 year old children and the choice was between a small reward which they could avail anytime and a larger reward for which that had to wait for 15 minutes in a room with nothing else. It was observed that about half the children managed the feet of waiting for 15 mns. Mischel followed the cohort that it was observed that 15 years later, the resisters had higher measure of executive control in cognitive tasks and especially the ability to reallocate their attention effectively. A significant difference in intellectual aptitude emerged- the children who had shown more self-control as four years had substantially higher score on tests of intelligence. Then there’s this concept of “priming” – the influencing of an action by the idea. Try to fill in the blank in SO_P! Now, if you have recently heard/washed your hands, you are likely to fill in “A” to make it SOAP. But, if you are hungry or smelt food recently, you may like to fill in “U” to make it SOUP. This is called ‘priming effect’ ie the idea of EAT primes SOUP and WASH primes SOAP. Priming is not just restricted to concepts and words alone. You can’t know this from conscious experience but you must accept the ‘alien’ idea that your actions and emotions can be primed by events which are not even aware of. For instance, John Bargh of NYU asked two group of students to form four word sentences from a set of five words. He gave five words to one group which are associated with elderly – Florida, forgetful, bald, gray, wrinkle. After the exercise, students of both groups were asked to walk down to a different hall and it was observed that students who made sentences from the words meant for elderly walked down the hallway significantly more slowly! The “Florida effect” involves two stages of priming. Firstly, the set of words primes thoughts of old age though the word old is never mentioned. Secondly, these thoughts prime a behavior which is associated with old age. This remarkable priming phenomenon is know as “ideomotor effect”. Studies of priming effects have yielded discoveries that threaten our self image as conscious and autonomous authors of our judgments and our choices! This is the stranger in us which is what Timothy Wilson wrote in “Strangers to Ourselves”. System 1 provides that the impressions that often turn into our beliefs and is the source of the impulses that often become our choices and action. 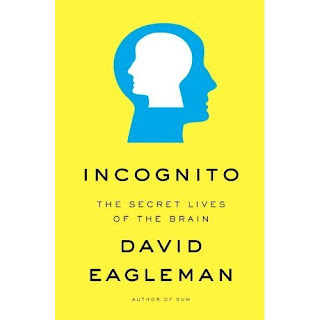 Eagleman however says(in a chapter titled “the Brain is a team of rivals”) that the “dual-process” (System 1 & 2) may not be the only two competing systems. In fact, there may be several systems. Sigmund Freud suggested three competing parts in his model of the psyche – the id (instinctive – system 1), the ego (realistic and organized) and the superego (critical and moralizing). The American neuroscientist Paul MacLean suggested that the brain is made of three layers representing successive stages of evolutionary development – the reptilian brain (involved in survival behavior), the limbic system (involved in emotions), and the neo-cortex (used in higher order thinking). While the details of both these theories have largely been fallen out of favor among neuro-anatomists, the heart of idea survives – brains are made of competing subsystems. 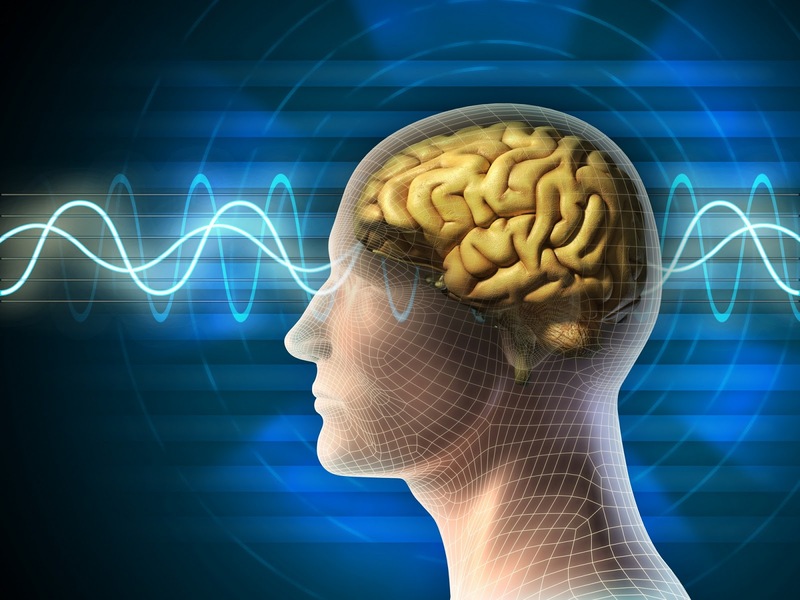 In that sense, the dual-process is most universally acceptable model of how brain works. Interesting blog! The range of your blogs is vast and quite interesting. Looking forward to the next one soon! Interesting read. But I feel that such deductions are loosely based on multiple variables where the results can be poles apart. For example, if you have a sore throat and you end up reading on the internet about causes of sore throat, you inadvertently may end comparing a lot of symptoms and causes with yours, though they may be remotely linked. What definitely is interesting is that how mood swings can affect decision making process and that too when the stakes are high. Does greed and fear equally affect the mind, and what causes greed to win over fear? Again, in some cases intuition may serve better than acquired knowledge, so the debate is endless albeit invigorating.